Taft Middle School officials have suspended more than half the school's black students so far this school year. Taft Middle School officials have suspended more than half the school’s black students so far this school year. With two months still left in the school year, administrators at Taft Middle School in Oklahoma City have already suspended more than half of their black students. At Capitol Hill High School, the average length of a suspension is nearly 12 days, or more than two weeks of missed class time. Capitol Hill officials also told several parents that re-enrolling their children was a “waste of time” because of the re-enrollment date. 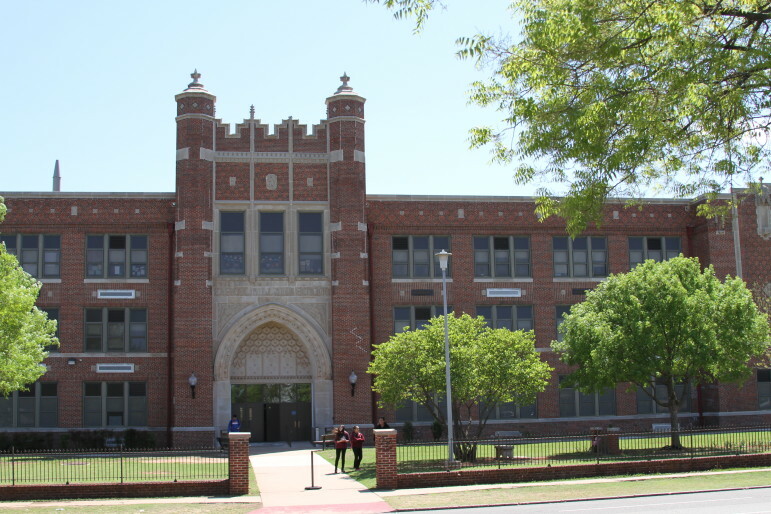 Northwest Classen High School and Douglas Mid-High School each referred 20 percent of their students to alternative education programs meant for students at risk of failing or getting kicked out of school. These and other findings are part of an internal audit, obtained by Oklahoma Watch Monday, that was conducted by Oklahoma City Public Schools. The audit was partly in response to a U.S. Department of Education civil rights investigation focusing on complaints of race-based bias in how students are disciplined. School officials also said Oklahoma City Superintendent Rob Neu, who is in his first year on the job, requested the audit after arriving in Oklahoma because of the improvements it led to in his old school in Washington state. The audit, which Oklahoma Watch obtained through an Open Records Act request, corroborates what a release of federal data revealed last year: According to the three-year-old data, Oklahoma City’s black students are two to three times more likely to be suspended than their white classmates in middle or high school. Use this map to look at the details of the audit at each school. Click on a school to see the breakdown in suspensions, by race. The most common reasons for suspension included disruptive behavior, defiance of authority and fighting, according to the district. That is an improvement from last year, when 39.6 percent of black students and 11.1 percent of white students were suspended. The district is supposed to set up a plan to ensure students keep up with classwork while out of school. The finding has prompted the district to change how students are referred, especially in response to minor or non-violent infractions. Capitol Hill High School has one of the the highest average time of suspension of students, at nearly 12 days. It also has referred 17 percent of its students to alternative education. 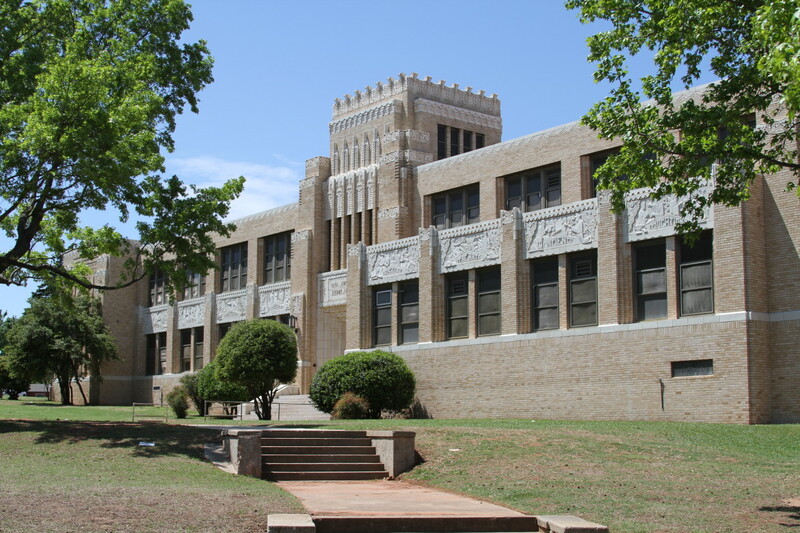 Douglas and Northwest had the highest referral rates, at 20 percent, followed by Capitol Hill High School at 17 percent, Oklahoma Centennial Mid-High School at 15 percent, U.S. Grant High School at 14 percent and John Marshall High School at 11 percent. In some cases, school officials told suspended students they couldn’t enroll back into their local school, and must instead enroll into an alternative school. The audit found several instances where school officials didn’t properly refer students to alternative schools, causing them to never enroll in another school. Despite high referral numbers at some schools, only 3 percent of students are in alternative education district-wide. Referral rates can mean schools are trying to divert too many students for minor or non-violent infractions that should be handled by the school instead. The U.S. Department of Education’s civil rights investigation was sparked by a complaint filed by a parent who said the district was unfairly punishing black students. That complaint focused on race-based harassment, retaliation and discrimination against Hispanic and black students related to discipline. The district received the complaint in August. Neu, who is in his first year as superintendent, has said the district is making changes to address the audit. • Disbanding the existing code of conduct committee and creating a new one. The committee will develop a new code of conduct with a tiered system for intervention before a student is suspended. • The new code of conduct will reduce the offenses for which a student can be suspended. The length of suspensions will also be shortened. • The district will revise the referral and placement of students in alternative education programs. • The district will implement training and coaching and will monitor data. • The district will develop an early warning system to identify students who are going off track and identify ways to help them succeed in school. • The district will also audit its elementary schools. Oklahoma City is not the only school district struggling with racial disparities in punishment. Issues have been reported and documented in small and large districts across the nation this past year. U.S. Secretary of Education Arne Duncan raised concerns about racial disparities in punishment after the department released state, district and school level data early last year. Duncan said that in many cases, zero tolerance policies were adversely affecting minority students, who were more likely to be punished. The issue prompted Duncan to write a letter to school administrators across the nation reminding them about the civil rights protections available to students. This table shows the percentage of Oklahoma City high school and middle school students suspended by race in 2014 and 2015. It also shows the racial demographics of each school in 2013. Click the columns to sort them. The 2015 data goes through March. This chart shows how long the average suspension is in each high school and middle school in Oklahoma City Public Schools. It also shows the percentage of students referred to alternative education programs, which are used for students considered to be at high risk of failing or getting kicked out of school. Only 3 percent of students are in alternative education programs in Oklahoma City. * Actual number is less than 1 percent. Data by Oklahoma Watch interns Ashley Sanchez, Brittan Jenkins and Joey Stipek.